If you are preparing to sell your home, you already know about the concept of staging. While most people think about pretty flowers in the front yard and the perfectly set table in the dining room, the fact is that staging is much more than nice lifestyle elements. Staging is something that should be considered throughout the home; it’s creating a scene in which your buyers can envision themselves living a beautiful life. One of the most overlooked aspects of staging is the closet. All buyers will open drawers and closets, and when they do, you want them to see a spacious place for their belongings. Here are a few tips for staging your closet to attract buyers. · Declutter and Remove – Yes that old adage about less-is-more when it comes to home staging is true here too. Remove anything you don’t absolutely need, such as winter coats or hiking gear. · Use Matching Hangers – This might sound odd, but replacing all your hangers which nice, new, matching hangers creates an organized look. · Keep Floor Free – Nothing should be on the floor if at all possible. Place everything on a shelf if at all possible. · Organize by Color – This is one of the easiest ways to make your closet seem more luxurious. Once you have them arranged by color, then group by length as well. · Add Soft Lighting – Not too low, but gentle lighting makes the space seem bigger and more inviting. Staging is essential to attract home buyers. 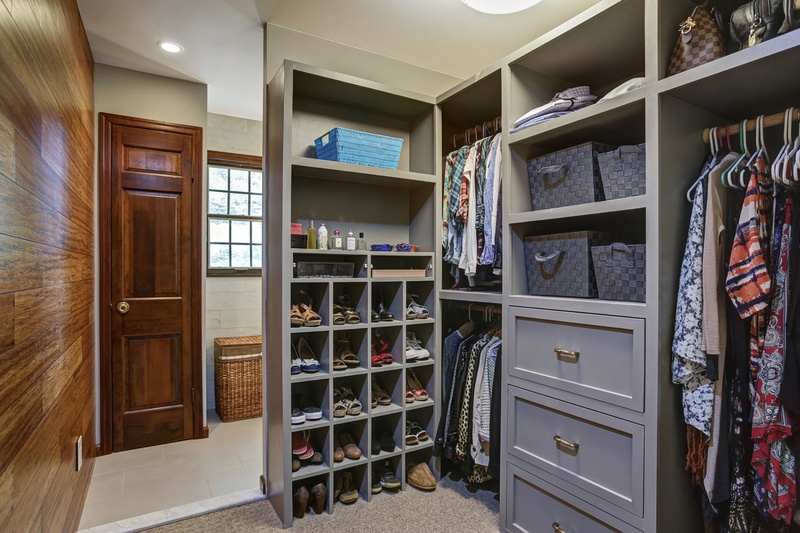 As part of your overall strategy, remember closets, drawers and other small spaces which might not seem as important, but done well will make a big impact to your buyers.